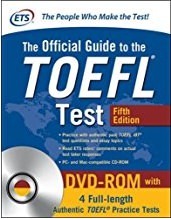 The brand new TOEFL Official Guide for the iBT, 5th Edition came out since a while, and I have to admit that I snubbed it for some awkward reason. Perhaps because ETS recycles its contents over again from one release to another. However, when I take a look, finally, to this release I was a bit surprised to see a new fourth test into it. Suddenly the first impression I have had is: wooowww. So guys, ok, cut the chase and go down to the business of this new guide from the head down. Looking at the menu of the left side when you open the ebook (yes, I have to admit my thumb is intense green. I rarely buy a paperback version of a book) the content compared to the previous version of the guide - the 4th Edition, here my review - are pretty much the same. However, the organization is more slender and efficient. For instance, General Skill-Building Tips is divided into sub-chapters to reach them more easily based on your will to see them related to what is your intention: I wanna read the tips regarding the reading part rather the listening one, and so forth. In the previous guide, the section was a monolith: you had to scan through the pages to reach the section you wanted to cope with. 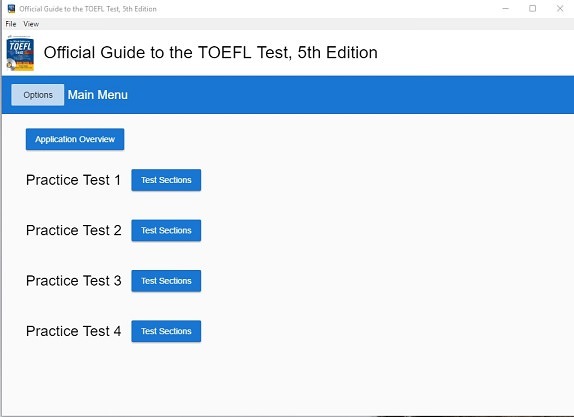 Remember: a better organization will result in a more efficient work from you, reaching faster your goal: learn as much as possible to tackle this test of English. I really do love, since ever, the Writer's Handbook for the English Language Learners. Not only it is sky-high but also is useful for those who wanna a better understanding of the mechanisms of the English language behind the curtain. The section contains sections such as usage, style, mechanics, organization and development and last but not least: advice for the writer. You do even have tiny advice section called: work in the workplace, in which is suggested how to write memos, letters and else.of course, it is not the English Oxford Dictionary but is really spot-on for the purpose and much more. 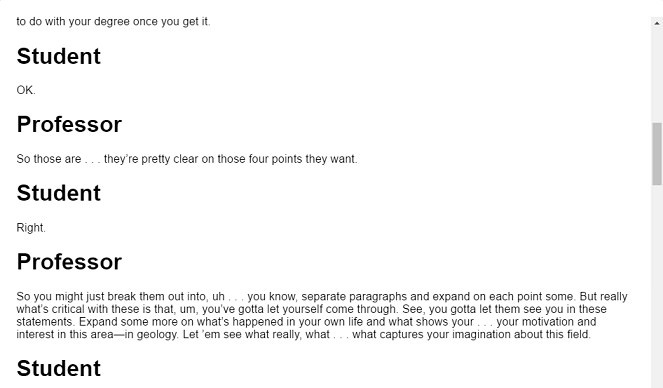 Here comes what I call the blast: a brand new fourth test fed to the student. As I said in the preface of this review, that is the major point in favor for those who wanna buy this new guide. Lightining - once again: a medium upper-level passage that I really do love because it is a scientific content-related. Really nice arguments exposed by the narrator, which is usually a secretary in a University office or a professor in a classroom in front of the students. For instance: the astronomy lecture about sunspots is amazing, mainly for two reasons: is on the mid-upper side level of difficulty and it is really interesting. As usual, when ETS creates something for the test, I would say. The Speaking and writing section is standard. Amazing. Before you can do this only going down to the book and search the related script. Now you do have in handy. 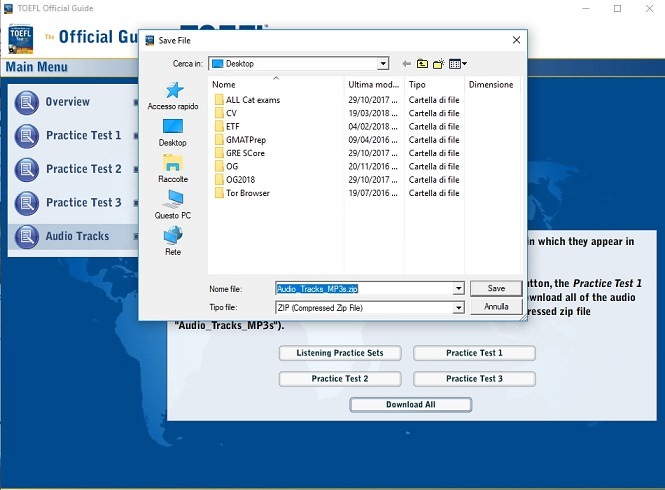 You are able to download all the audio tracks off-line in a zip file. This could be useful whether you amma use the tracks during your commuting, for instance, to listen at them over and over again, studying the style of the lecture, the shifting tone and so forth. In the new DVD, I do not see anything like that, even though it is clearly stated in the book that you are able to do so. Not a big deal from ETS. I do not see any other big cons to point out. Not really. The contents provided come from who creates the test itself. Out there you do have tons of good or less good resources to training and prepare for the test in terms of strategy and practice questions, but no one is still able to resemble or mimic the original material. Believe me. It is unbeatable as material. The guide is really worth to buy, especially at this price point.